Why Should You Switch to UPVC Doors? 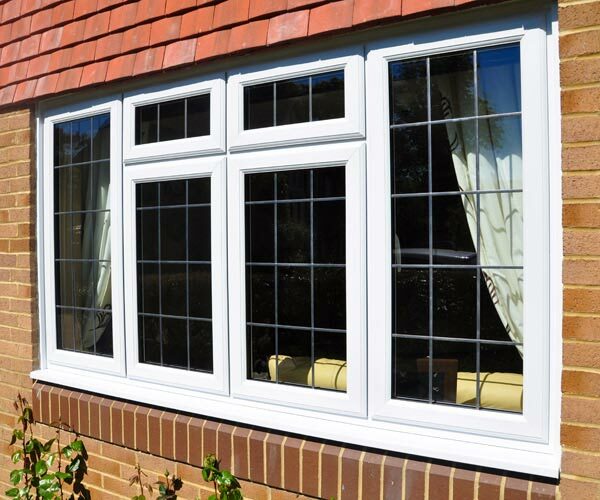 UPVC stands for un-plasticised poly vinyl chloride. The material is effectively and widely used for making windows, doors and pipelines, these days. The basic fact while using the material for construction of doors and/or windows is that it must be wrapped around a core of glavanised steel as this makes UPVC much firmer and stronger. The material is widely used as it doesn’t get affected by climatic changes like other materials such as wood. Moreover, it lasts much longer without much wear and tear, and doesn’t require significant repairs. Let’s have a look at the key benefits of installing UPVC doors. Such doors are much stronger than traditional wooden doors. UPVC Doors Cardiff don’t get affected with climatic changes. They hardly change in damp weather; they are rigid and absolutely waterproof. The best thing about them is their actual shape remains intact in spite of weather changes. Unlike traditional doors, UPVC doors don’t require any extensive maintenance. All they need is a soapy wash and a regular check of maintenance seals. Since they virtually required no maintenance, it saves you time. UPVC doors are extremely good in providing insulation against noise. Outside noise pollution like the irritating sound coming from the vehicles, hawkers etc. won’t reach you. You will be unaffected while having a peaceful and pleasing atmosphere at your home. Such doors reduce entry of cold air into your home and this keeps the home warm in winter and cool in summer. Unlike aluminum, UPVC prevents condensation. UPVC doors are simple to fix and remove. Thus they consume only a little amount of energy. They fit even better and feature better insulating properties than that of wooden doors. And this makes UPVC doors environmental friendly. UPVC doors are extremely durable. They are strong, resilient and tough. There is hardly any chance that they would be changed. UPVC doors usually have strong layer of galvanised steel and so they are extremely difficult to break. And this keeps you from being victims of robbers and thieves. This is another great advantage of using UPVC doors. With such doors, you can be rest assured about safety and security of your home. Such doors are anti-crowbar. Unlike wooden doors, they just can’t be forced open by intruders. The material is not susceptible to combustion. Fire tests have revealed that UPVC, being naturally flame retardant, won’t cause, support or enhance occurrence of accidental fire. They are self-extinguishing. They never rot, rust, fade, flake, pit, peel or corrode. They are resistant to corrosion as well as salt erosion, which makes UPVC doors last longer than traditional doors. UPVC doors allow opening from both sides and that helps in getting proper cross ventilation. UPVC is resistant to pollution and sea water. The material is chemical proof as well. Wood may swell and/or rot; steel and aluminum may corrode and have galvanic reaction to their fastener, but no such incident may occur with UPVC doors. UPVC doors and UPVC windows Cardiff are cheaper in comparison to wooden and aluminum doors. These are just a few benefits for which you can switch to UPVC doors. Also get 4 cool tips to help you choose the design of your doors and windows for your home.